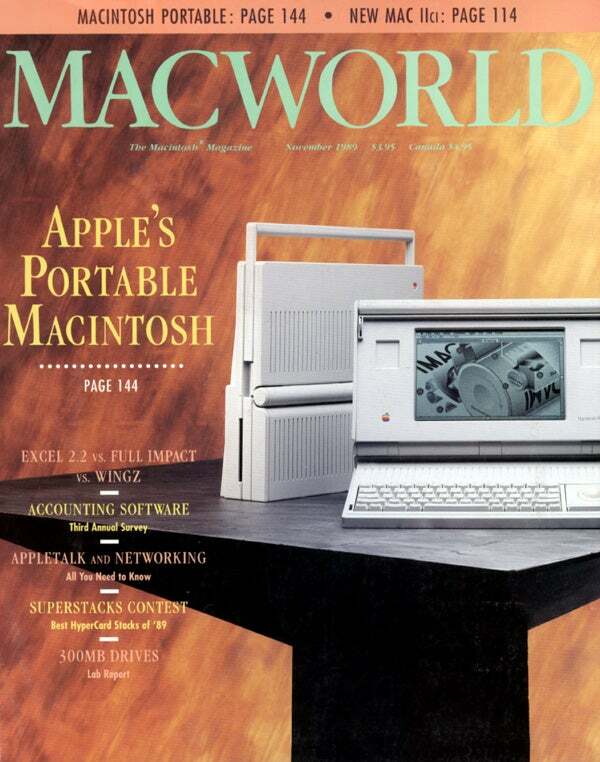 Apple’s first laptop, the Mac Portable (see our cover image), weighed nearly 16 pounds and cost $6,500. It was a curious thing. And people wondered, who would want one? Who could afford one? What would they do with it? But over the years, portable technology improved. The original PowerBook line created an entire subculture of road warriors—digital nomads who worked when and where they wanted. These days, thanks to the light and fast MacBook, MacBook Pro, and MacBook Air, using a portable computer isn’t reserved for a handful of gearheads. In 2005, 40 percent of the Macs Apple sold were laptops. Now that number is 60 percent. We’ve crossed some sort of dividing line: portable computers are as mainstream as it gets. Of course, even the MacBook Air isn’t the lightest portable computer Apple makes. That distinction goes to the iPhone and iPod touch, which may pose as handheld devices for use in making phone calls or playing music and video but are in fact complete touch-screen computers running a version of OS X. Along with the developments to computer hardware has come another development vital to the growth of portable computing: the massive expansion of Internet connectivity and wireless networks. The iPhone is attached to a broadband Internet connection almost all the time. Cafes and hotels from Maine to Montana offer speedy Internet connections via Wi-Fi. Small computers and easy-to acquire Internet connections mean that you don’t have to be tethered to your desk to take full advantage of modern technology. That’s why the editorial team at Macworld lovingly created the brand-new Mobile Mac Superguide. In one handy 88-page volume—available as a $9.99 PDF download (with no digital rights management of any kind—just read it using Adobe Reader or Apple’s Preview application! ), or a $12.95 PDF on CD-ROM, or a beautiful $19.95 full-color, handy pocket-sized paperback book—we’ve collected everything the mobile Mac user needs to know. If you’re in the market for something new, our experts tell you what to look for when you’re shopping. Then we’ll make sure you get connected, no matter where you are. We have a collection of essential utilities and accessories for mobile users, and a troubleshooting guide for the most common Mac problems. And of course, when your entire world is on a small, light device, security is important—we share the best ways to ensure your laptop and data stay safe, even when you’re not paying attention. There are a lot of great things about being a mobile Mac user. But being mobile also means there are unique challenges. Let this book be your companion when you’re on the go. Want to see more before you shell out for this book? We’ve created a downloadable sample that includes the book’s complete table of contents as well as sample pages. 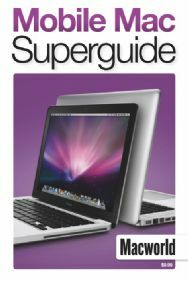 Also available in our Superguide series are the Mac Security Superguide, Mac Basics Superguide Leopard Edition, Mac OS X Hints, Total Leopard, the Macworld Digital Photography Superguide, and the Digital Music and Video Superguide. We think they’re really great books, and we think you will, too. Click here to get more information about how to buy the book.